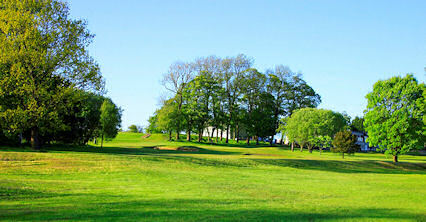 Cowdenbeath, located six miles east of Dunfermline, is a relatively new course which was completed in 1988. It was built on the site of the old Dora coal mine and, hence, is often referred to as Dora. It was recently extended to 18 holes and is now a course that's full of character, charm and challenge. Indeed, it is a picturesque parkland layout with gentle undulations and tree lined fairways and is ideal for both low and high handicappers. On the outskirts of Cowdenbeath signposted from A909/A92.